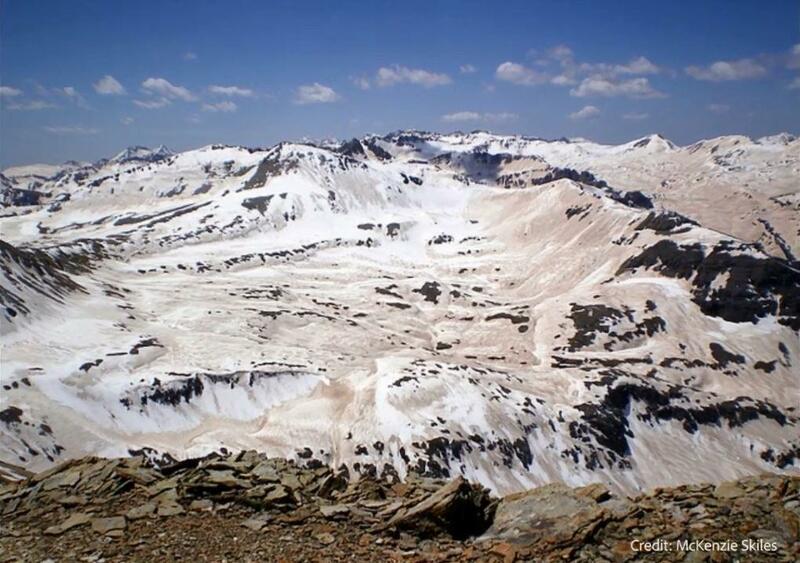 Dust on top of snow accelerates snowmelt threatening Utah's snowpack. McKenzie Skiles, an assistant professor in the department of geography at the University of Utah studies what happens when this dust falls on snow. "Snow is one of the brightest natural surfaces on earth," Skyles said. "And that means that it is reflecting almost all incoming sunlight and dust is visibly darker and so when it lands on the snow it changes that bright white surface into something that is darker and more absorbing of sunlight and that additional sunlight is what accelerates melt." According to Skiles, faster-melting snow in Utah will reduce winter snow packs threatening water availability in the third driest state. "In addition to hydrologic reasons, it is also really important to the economy," Skyles said. "A lot of people come to Utah and to the Wasatch Mountains in particular to enjoy the Greatest Snow on Earth for skiing and other snow sports. And dirty snow is not quite as appealing as clean snow and then if it also begins melting faster that can have an economic impact in terms of tourism." One of the reasons for the increase in dust particles has to do with another well-known Utah natural wonder...the Great Salt Lake. The lake is shrinking, exposing more dry lakebed. A dry lakebed is vulnerable to being picked up by the wind and deposited as dust on the mountain snow. "So there are a couple of things that can be done. One is to limit surface disturbance in these regions that are more prone to dust emissions. And then another one would be to maintain a certain lake level in the Great Salt Lake that would leave less lakebed exposed as a potential dust region." Skyles said. Skiles is using her research to warn about the potential for dust deposit events to worsen. "And if nothing is done to limit that surface disturbance or protect these dry lake beds then we could expect more frequent dust events and more dust in the air and on the snow in the future."